Protest. 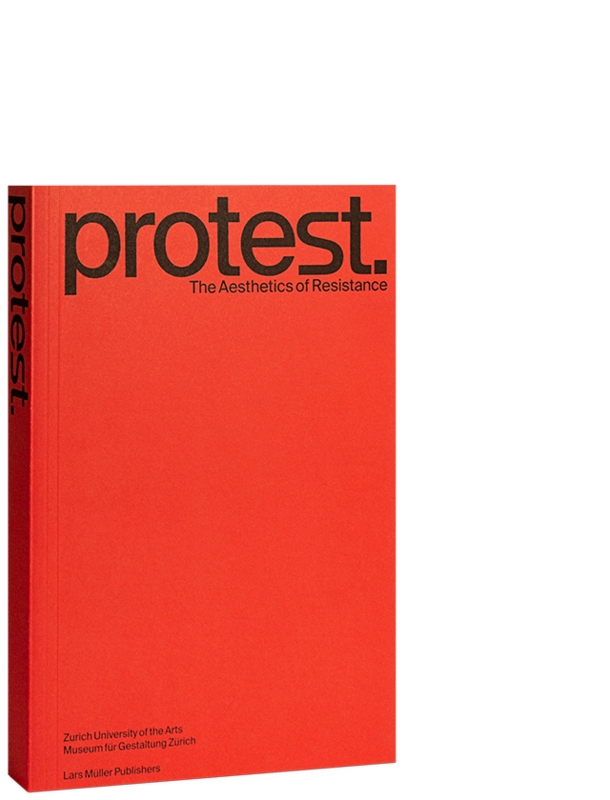 presents and reflects on present and past forms of protest and looks at marginalized communities’ practices of resistance from a wide variety of perspectives. 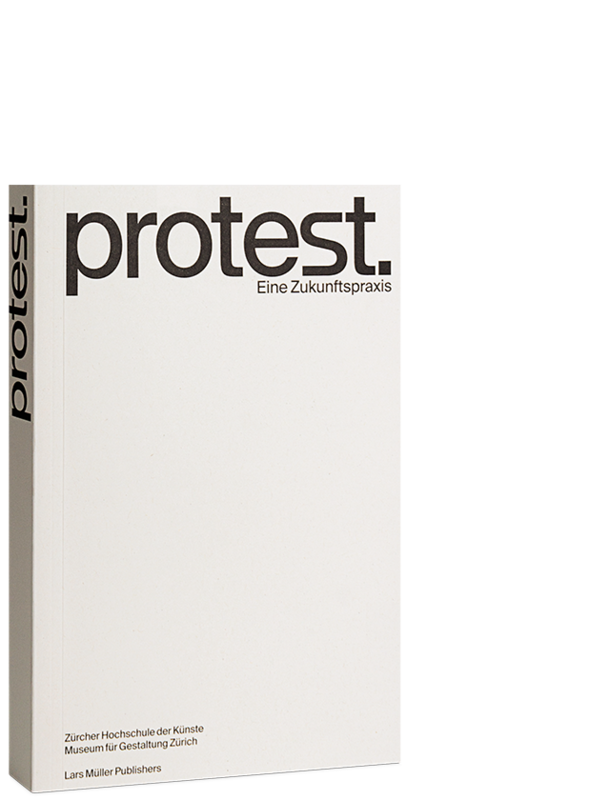 The publication shows how protest draws on irony, subversion, and provocation from a position of powerlessness, for pricking small but palpable pinholes into the controlling system of rule. “Make Love Not War,” “Soyez réalistes, demandez l’impossible,” “Keine Macht für Niemanden,” “We are the 99%”: The last decades have been accompanied by a constant flow of resistant statements and methods in view of the prevailing conditions. When something is able to reach from the margins of society into its very center, it forges ahead in the form of a protest. It masterfully and creatively draws on contemporary signs and symbols, subverting and transforming them to engender new aesthetics and meanings, thereby opening up a space that eludes control. Illustrated with expressive photographs and posters, Protest. considers social, culture-historical, sociological, and politological perspectives as well as approaches that draw on visual theory, popular culture, and cultural studies. In the process, the book takes into account in particular such contemporary developments as the virtualization of protest, how it has been turned into the fictional and its exploitation in politics by power holders of all shades. This survey of the visual slogans that have been used as tools for social change over the last half-century reveals how blurred is the line between politics ant poetics, art and life. With contributions by Michelle Akanji, Friedrich von Borries, Delphine Chapuis, Teju Cole, Hans-Christian Dani, Steven Duncombe, Anna Feigenbaum, Philipp Felsch, Marleen Fitterer, Meret Fischli, Corinne Gisel, Johannes Hedinger, Knut Henkel, Henriette Herm, Larissa Holaschke, Ines Kleesattel, Wolfgang Kraushaar, Wong Chi Lui, Elisio Macamo, Eva Mackensen, Franziska Meierhofer, Tine Melzer, Rabih Mroué, Pedro Oliveira, Dominique Raemy, Maybelle Eequay Reiter, Bettina Richter, Basil Rogger, Pascal Ronc, Allan Sekula, Jörg Scheller, Joana Schertenleib, Klaus Schönberger, Alankrita Shrivastava, Viktoria Tiedeke, Zeynep Tufekci, Marius Wenger, Rosamund van der Westhuizen, Max Wild, Dominik Wolfinger, Kacey Wong, Suzanne Zahnd, Michel Zai.